Disclosure: Although I received this product free of charge to facilitate my review, All opinions are 100% mine. My daughter loves Science and Math. She loves to explore,learn and challenge the world around her. 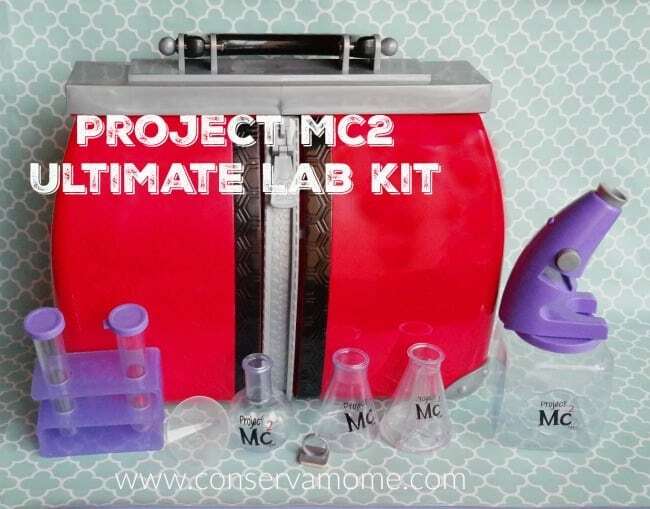 So when I had the opportunity to check out the new Project Mc2 Ultimate Lab Kit I knew she would go crazy over it. Netflix has come out with a super cool series that follows Project Mc2. Project Mc2 is a team of four super-smart and seriously cool girls who use their love of science and their spy skills as they go on missions for secret organization, NOV8 (that’s “innovate”). They’re real girls with real skills ready to take on anything. The Girls in this show embody a quality that I wish was pushed more onto girls and that is a love of Science and exploring. Most important the ability to realize anything they put their minds to. So when a set like this comes out ready to teach my kids how to look beyond everyday ingredients I couldn’t be happier. The kit itself includes most everything needed to explore,study and learn. 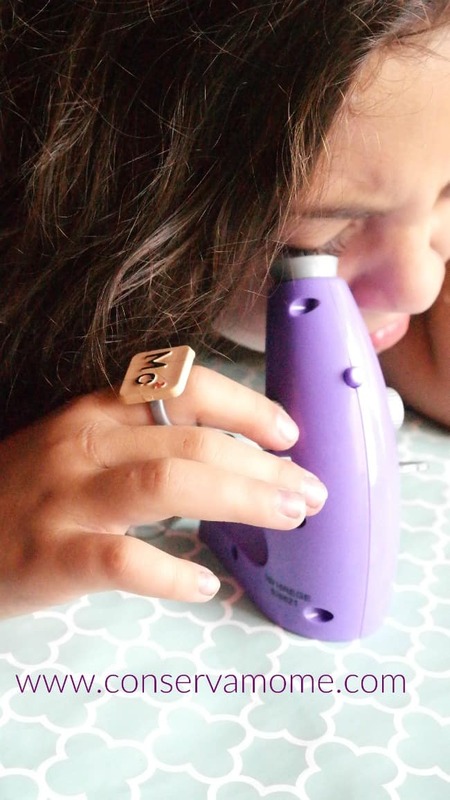 From test tubes to easy projects they can do, it’s a complete set! I love that it brings a notebook filed with ideas and experiments that take everyday objects and help amazing and teach your young scientist the ins and outs of Science. Picking up S.T.E.A.M. with Science-Technology-Engineering-Art-Math. This comes with many different lab pieces for you to conduct chemistry and other science experiments. A real working microscope provides endless hours of discovery. This set is so complete and fun. You can give them wings to fly with this set. 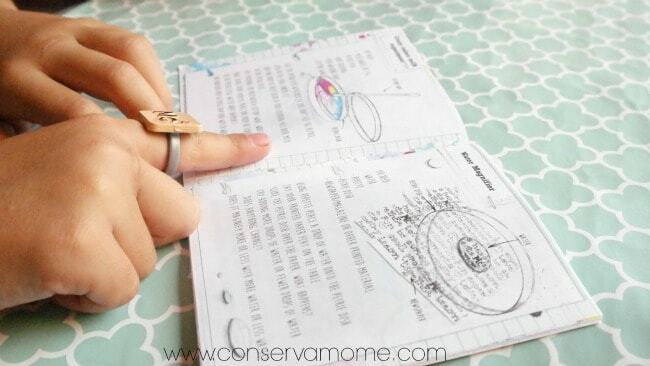 As a Home schooling mom I love how it has become part of our lessons. The experiments in the book are so easy to carry out and fun. Once your little Scientist is done they can put it all away in the amazing case. Even my son has taken a liking to this kit and loves to check out the many experiments that it comes with. I love that it’s making my girls question,learn and explore. It’s getting basic ideas and theories we learn everyday and carrying them out into the real world. Best of all you can get this amazing set for around $43 at Walmart or other retailers! 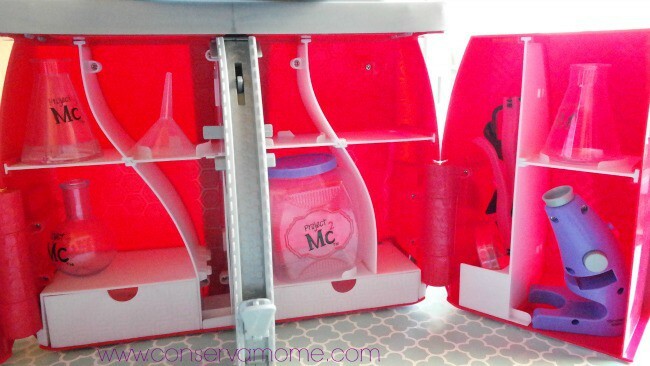 Once your little Scientist has mastered the included science experiments they can visit www.ProjectMc2.com. for more! Don’t forget to check out the other great products that are part of this amazing new show! Haven’t seen the show yet? Check out the fun preview below! 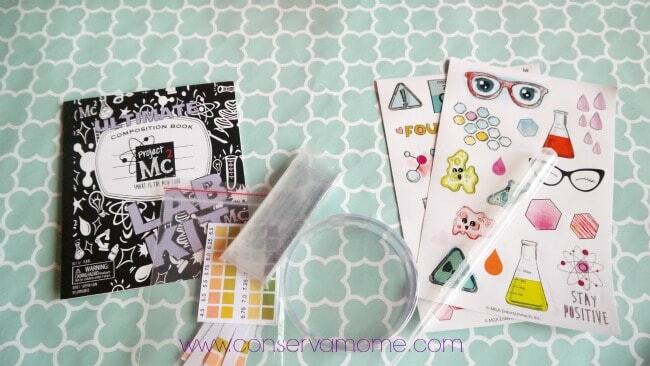 One Lucky winner will get this fun Kit for their little Scientist! Head below to enter to win! Giveaway ends on 12/4 at 11:59pm EST. Open to US only. Good luck! I would love to get this for my niece! I would give this to my 10 year old granddaughter. I would love to have this for my little homeschooler! She is so interested in science!! She would love this! My tween daughter would love a science set like this! My daughter would love this. She has it on her Christmas list. Science is my daughter’s life. She is in Science Olympiad at school and this is tops on her list of must- haves! Thanks for the opportunity to potentially get it at no charge. Blessings! My Goddaughter would love this. She is curious & adventurous and would enjoy all the activities. I’d like to win this for my 6 yr old daughter her birthday! My grandson would love this. He is so excited about science. I would give this to my daughter, she loves science. I have 6 kiddos and we homeschool, so this would be awesome. What little Scientist do I want to get this for? My grand daughter. We home school and this would be a wonderful tool. I would like to get this for my niece. She would love this doll and the science too. This would be perfect for one of my close friends daughters! We are both female geologists and strive to help empower young girls interested in science. I love this kit!! One of my bestie’s daughter!! She would absolutely love it!! She loves making youtube videos too and I bet she would have such a great time being a mad scientist with this set!! Science is definately something I want my grandson exposed to and enjoyed. So many wonderful discoveries to be made! This looks awesome! My son is 6, and he’s starting to get into science a lot, this would be a perfect gift for him!